Mold can be found everywhere, and there are thousands of different molds that can be found in nature and in man-made environments. When mold starts to grow in a house, it creates problems by ruining the organic materials (paper, wood, fabric, carpeting). Mold also causes serious health problems such as allergies, skin rashes, itchy eyes, chest pains and respiratory ailments. Some types of household mold (such as black mold or stachybotrys) are more harmful than others because their airborne spores contain poisons called mycotoxins. If you have mold in your home, the local experts at Keith Trembley Home Solutions can help you get the complete remediation you need. Call us today to get an estimate in Augusta, Brewer, Bangor and throughout the surrounding areas! Mold announces its presence with a distinctive and unpleasant smell. If you smell mold or see mold stains on walls or other areas, it's best to call in a contractor with mold remediation expertise. The terms “mold remediation,” “mold removal,” and “mold abatement” all mean basically the same thing. Because mold spreads easily by means of airborne mold spores, mold remediation is often a complex issue. A mold colony can start wherever moisture and a food source are present. 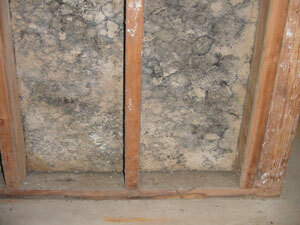 Removing or reducing moisture is usually essential to discourage mold growth. An experienced contractor understands that in addition to removing existing mold, it will be necessary to eliminate leaks, standing water and high humidity levels so that new mold colonies won't form. We have helped many homeowners solve mold problems. We use state-of-the-art soda blasting equipment to scour mold deposits from wood framing and other fixed elements in a house. Materials that have been damaged by mold –like gypsum board, for example -- are typically removed and replaced with more mold-resistant materials. Finally, we take steps to control moisture and humidity in order to create a drier environment that's hostile to mold. Contact us today for an estimate on mold removal in Brewer, Bangor, Augusta, Mount Desert Island, Camden, Old Town, Skowhegan, Ellsworth, Orono, Penobscot, Birch Harbor, Bernard, Bar Harbor, Troy, Veazie, Waterville, Arundel, Millinocket, Stetson, and the surrounding towns in Maine. Get a Mold Remediation Quote!